The upcoming Tata Nexon compact SUV showcased at the Geneva Motor Show. 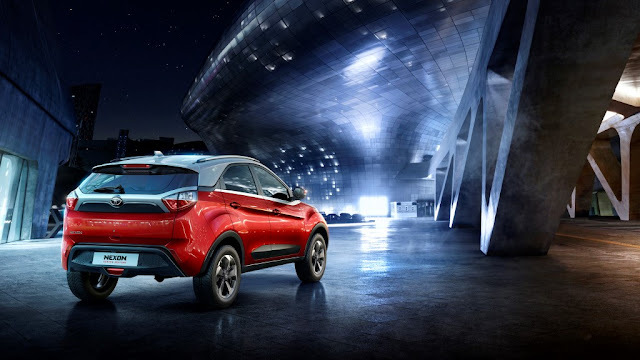 Tata Nexon Geneva Edition Showcased, Tata Motors has showcased the upcoming Nexon compact SUV at the Geneva Motor Show. Edition at the ongoing Geneva Motor Show. The design and styling elements are similar to what was showcased earlier. 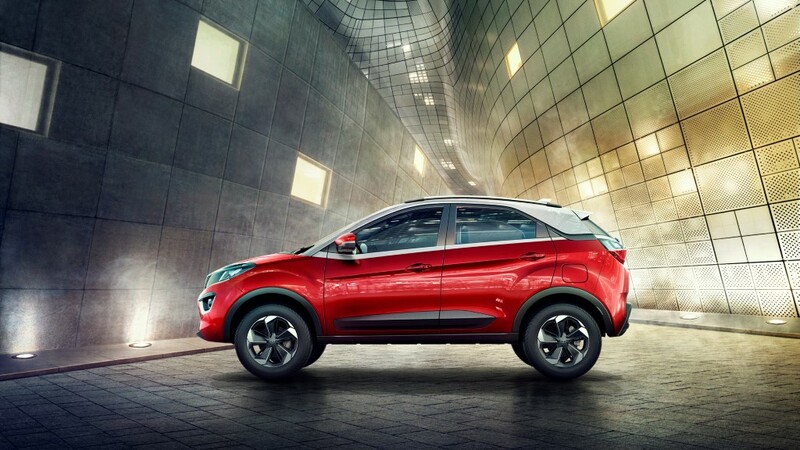 The Nexon features the IMPACT styling language and comes with projector headlamps, DRLs and 17-inch alloy wheels. On the inside, the SUV is loaded with features like Harman touchscreen infotainment system with voice command and safety equipment like dual front airbags, ABS with EBD, Cornering Stability Control and ISOFIX mounts at the rear. The Tata Nexon is powered by a new 1.5-litre Revotorq diesel engine which is a 4-cylinder unit. The oil-burner is mated to a 6-speed manual transmission though power and torque figures haven’t been revealed yet. It also gets a dual path suspension. The fuel tank capacity is 44-litres and length, width, height are 3995 mm, 1811.4 mm and 1607.4 mm respectively. – The Nexon gets a new 1.5-litre diesel engine. – The engine gets 3 drive modes. 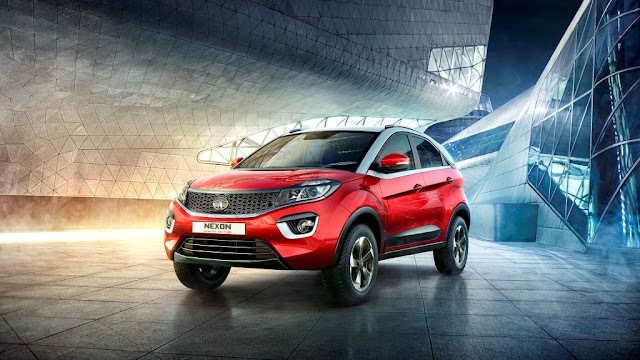 – The Nexon gets a Harman infotainment system.